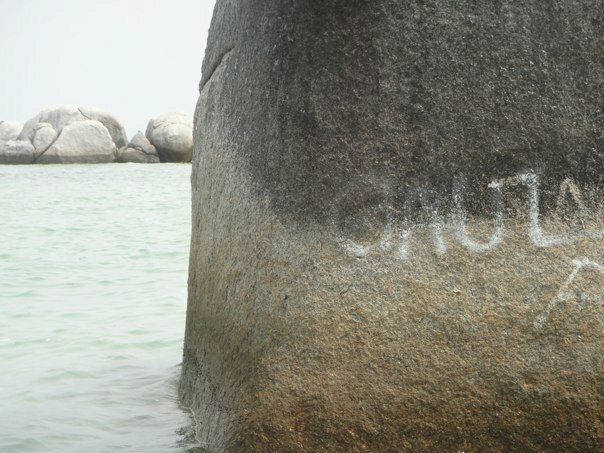 I was not going to write anything at all about Belitung on my blog, mostly because it is currently one of the most popular domestic tourist destinations in Indonesia, everyone knows about it and have desire to go there. It is already over-exposed in Indonesia, no one needs any encouragement to go there. Also, I am not a big fan of that Laskar Pelangi series (due to various reasons that I would not mention it this time in this posting). 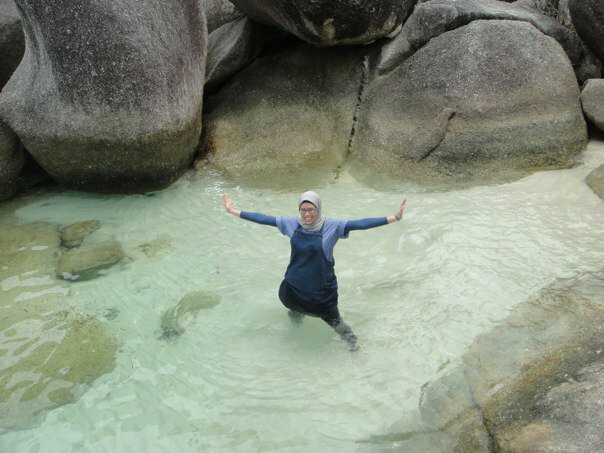 But then, after living in London for about a year, I realised that when I talked to my non-Indonesian friends, I ‘promoted’ Belitung Island a lot. Based on that, I realised that this short weekend trip had made an impact in my life. Therefore, I have the urge to actually write about it here. 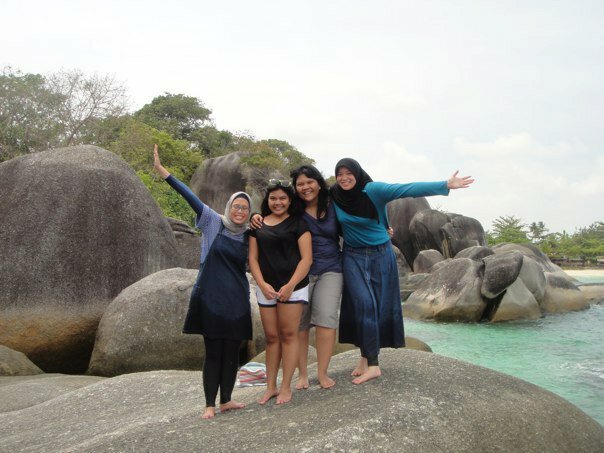 So anyway, this weekend trip was basically a long overdue trip that Asti, Ayu and I planned. Well, our original plan was actually a safari trip in South Africa, or the likes. Unfortunately, due to our limited budget, we decided that we should start our plan by traveling domestically. In regards to my little sister, I just managed to drag her around. 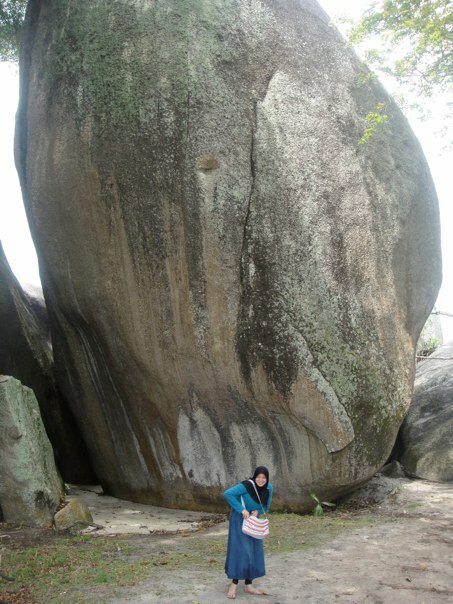 I do not have any intention on writing all research-y about Belitung. You know, all the matters about commodification of everything. I just finished my dissertation, for god’s sake. I need a break. 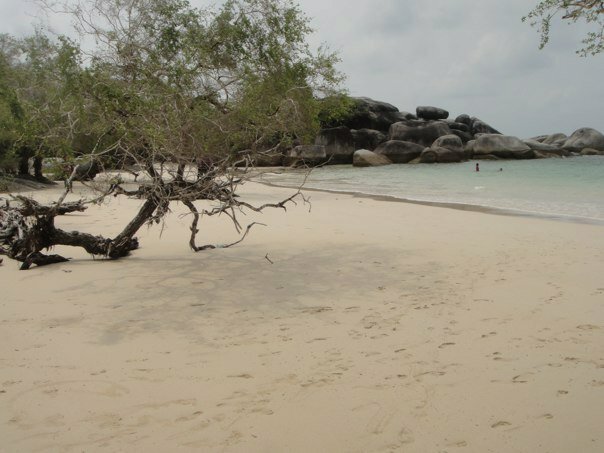 I simply just want to show how beautiful Belitung is, especially for my friends who have never been to Indonesia, or only knows Indonesia by Bali, Lombok and the islands around it. 1. eat as much seafood as you can. it’s so freaking cheap and they are delicious. you can eat crabs without paying as much money as you would in Java or Bali. 2. eat/drink as much whole coconut as you possibly can. reason: see above. 3. do as much water sport/games as possible. they do not have very many in the island, because tourism industry is fairly new. You can do occasional snorkeling, rent a canoe for fun and some other stuff. Why? See reason no. 1. 5. forget about buying souvenirs. again, tourism industry is fairly new there and the locals are not used to making handicraft for souvenirs just yet. they also do not have any food specialities that you could never found somewhere else in Indonesia. So, better forget about souvenirs and took tons of pictures instead. 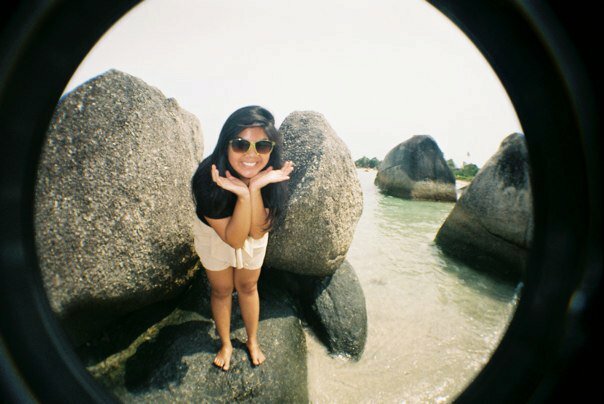 Now, below are some of the pictures that we took while we were on the island. I think it was all taken on our first day in two different beaches. I hope you get the idea of how beautiful the island is. hmmmm….hmmmmm….should i go there as well? Beautiful photographs!! Thank you for sharing this stunning part of the world here for me to enjoy!